Rock Music Goes The Way Of The Beard : Monitor Mix With the rise in popularity of mostly bearded men making very sensitive music — Fleet Foxes, Bon Iver, Iron & Wine — has rock gone toothless? 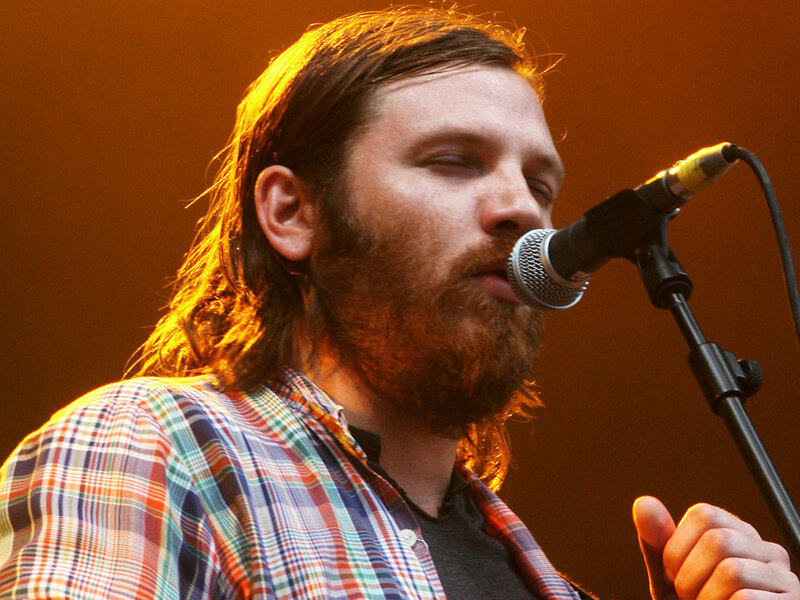 As beardy indie-folk takes over, is rock losing its edge? These are strange times in rock music when the genre's big brothers and elder statesmen — those pillars of manliness, with upper bodies so capable and broad that it looks as if they're playing toy instruments — have to join forces in order to be heard. I'm talking, of course, about Them Crooked Vultures. Featuring an impressive lineup of Dave Grohl, Josh Homme and John Paul Jones, TCV came along at a time when I thought I'd never have to leave the safe, palliative confines of the unkempt indie-rock beard. In terms of rock music, the first half of the '00s was marked by mostly gutless post-punk new-wave rip-offs (like The Bravery and The Killers), who borrowed the sound of the late '70s and early '80s but none of the fire, angularity, discord, ingenuity or politics. Some of the tunes bordered on danceable — and a few were catchy, for sure — but most listeners found nothing revelatory or lasting in those songs. Personally, I was insulted by the idea that these bands thought an audience wouldn't know any better, that some eyeliner and a flange pedal could make up for passion. My own band was still playing music during this time. I remember going to Coachella and playing songs from our album The Woods. The tunes on that record were abrasive and scary, full of imbalance and uncertainty. But instead playing rock that day, I felt like we were throwing them. Rock music should be unapologetic, but looking out at the audience, I wanted to hand out earplugs and say, "I'm so sorry." Then I saw Sufjan Stevens. I had yet to hear his album, Illinois, but I knew change was in the air. I saw Stevens at the Aladdin Theatre in Portland. The show was sold out; the crowd hung on his very word, laughed, held hands, felt okay about the world. His songs were literary, beautiful and melodic. He filled the stage with costumes, kitsch, cuteness and warmth. There was a lot of wit and heart to Stevens' music, but no bite. Yet toothlessness was where we seemed to be headed in indie rock; a soft, safe gumminess. 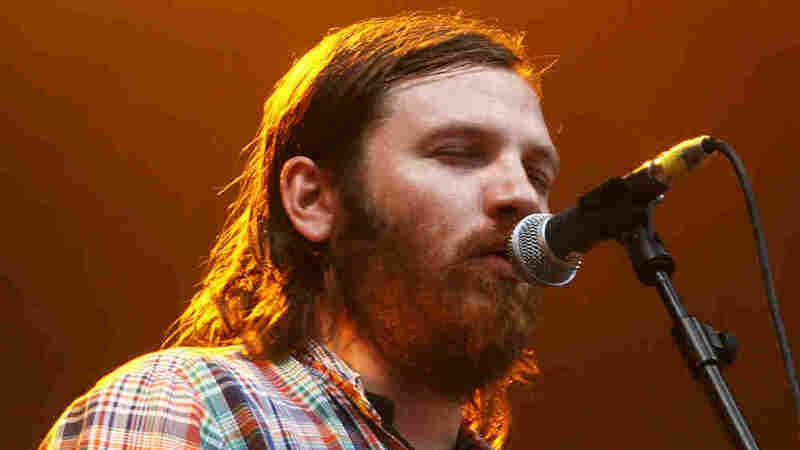 What followed — at least in the world of indie music (and I use the term "indie" loosely and for lack of a better term) — was the rise in popularity of mostly bearded men making very sensitive music: Fleet Foxes, Andrew Bird, Bon Iver, Devendra Banhart, Beirut, Girls, Grizzly Bear, The Dodos, Iron & Wine, and so forth and so on. Women in indie rock were for the most part right there with them. Though beardless, from Feist to Regina Spektor, the trend was to assuage. Though I enjoyed many a song by all of the aforementioned artists, the terms I'd use to describe their music are ones I wouldn't wish on my enemies: pleasant and nice. So how and why did we go the way of the figurative beard? I'll be the first to admit that I, too, like many others, went that way. Actually, I went the way of Bon Iver. Here's what I wrote about Bon Iver on this very blog: "[His] songs are delicate but they are not soft; the comfort in them is fleeting, their beauty uneven. In the live setting the songs are wilder, they screech and veer towards chaos before closing in on themselves. [Justin] Vernon's voice is part songbird, part howl, and it is fearless." Yes, there was Andrew W.K., Jay Reatard, The Gossip, The Thermals, The White Stripes and The Black Keys — and plenty of awesome, more obscure bands that still tore into their guitars, unearthing exciting and misshapen sounds, from Deerhunter to Explode into Colors to Black Mountain. But there was also The Darkness, which was perhaps the last sad gasp of pseudo-mainstream rock 'n' roll. Lambasting us with full-blown irony, it gutted nostalgia for all it was worth; strangely, people seemed to like it. What they also inadvertently did — and perhaps this isn't a bad thing — was glorify and expose all of the ridiculous, alienating and sexist elements to rock music. No wonder we needed a break, both from bands like The Darkness and from the insincere miming of those late-'70s/'80s throwback bands. What we needed was a gentle sonic hand to hold. Yet while indie music and its protectors and cheerleaders were touting all that didn't rock this past decade, a whole new slew of kids — including tons of girls — were learning how to play it. Whether at the Rock 'n' Roll Camp For Girls or Paul Green's School of Rock, tweens and teens were given a free pass to shred and rip it up. They weren't afraid of volume, ugliness or bombast. They learned songs — or wrote their own original songs — that embodied and spoke to our fears, to the unknown; songs that weren't just about making us feel better. I, for one, can't wait for the next wave of bands. What we need is more contemporary rock music that addresses or mirrors the chaos, the gray areas and the uneasiness. Just go listen to The Stooges or Bikini Kill for a second to remember what that sounds like. I enjoy sweet songs as much as the next person, but I'm tired of passive music that allows us to merely sit back. I want music that makes me sit up. Personally, I think it's time to shave the beard and risk getting a cut or two.